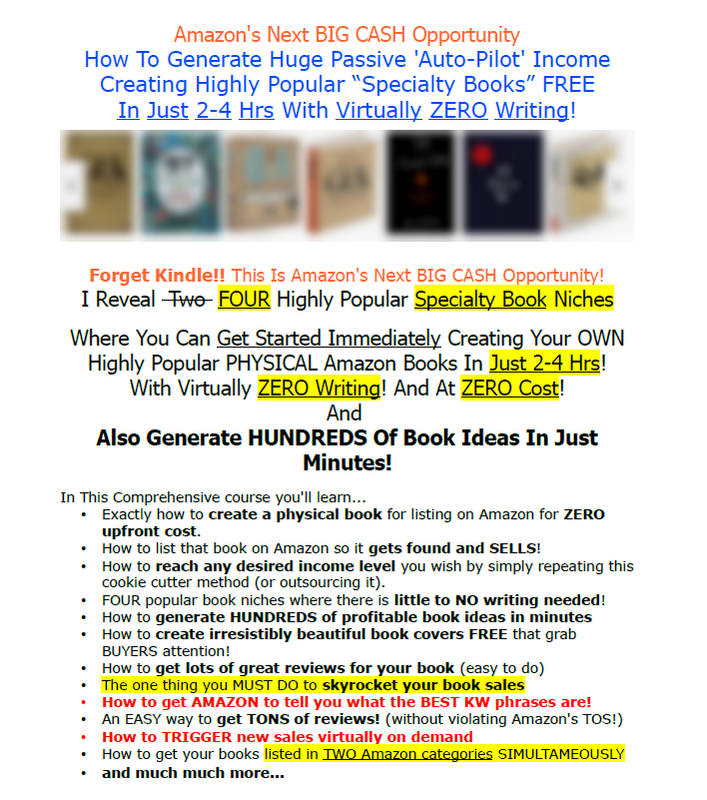 Create High Profit Amazon Books In 1-2 Hours! With Virtually ZERO Writing! FOUR Hot Niches Revealed! Discussion in 'Coaching | WSO' started by Super8, Apr 15, 2016. Is it different from Kindle publishing?